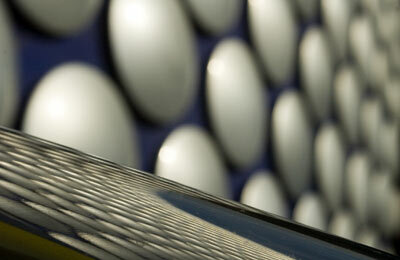 The Bullring in Birmingham City Centre provides over 110,000 square meters of retail space. But it's not the 140 shops that is the highlight for myself or the many photographers who've ventured here before or after me. 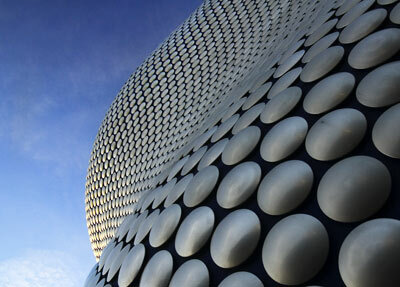 It's Selfridges' department store that draws me in. 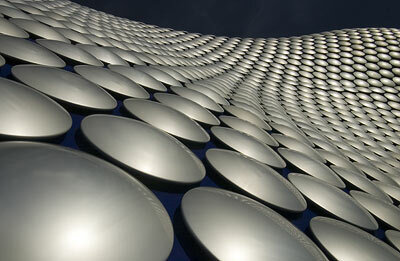 This building with a "skin" comprising of no fewer than 15,000 aluminium disks, each reflecting light, creates an amazing building for pattern or abstract shots. 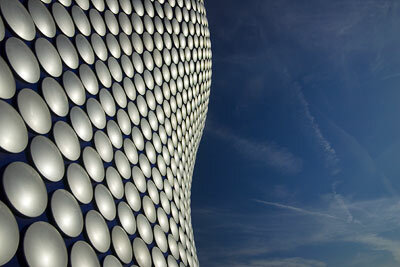 Go on a bright day with a blue sky and use a polarising filter to get amazing contrast and graphical images. 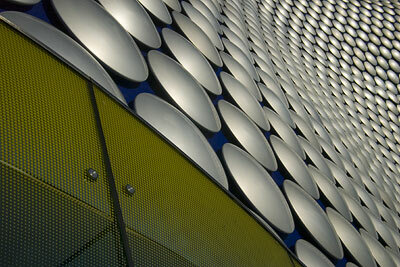 I shot with a wide angle from the low viewpoint to emphasis the shapes. 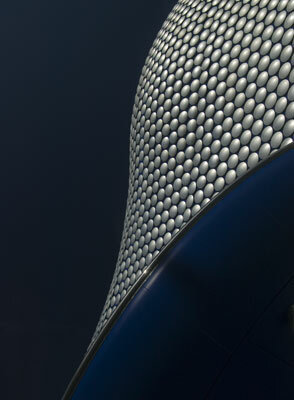 Absolutely amazing and well worth a visit, but watch out security guards can be quite wary about camera users. 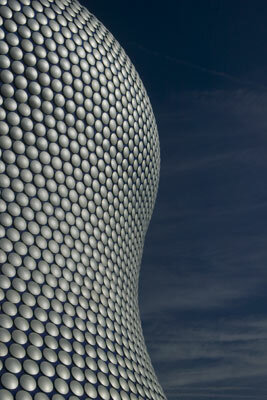 The Selfridges Bullring Building in Birmingham. 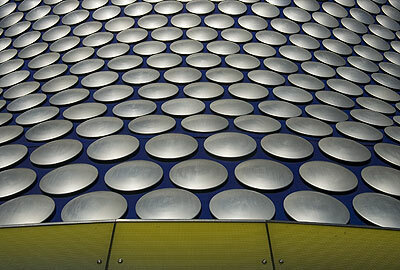 The Selfridges Bullring Building in Birmingham.